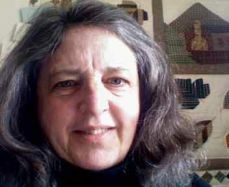 Beth Kanell is a poet and author of several adventure travel and local history books. For The Darkness Under the Water, her first novel, she drew on her family background of New England farm and forest, a neighbor's tales of his Abenaki heritage, and the discovery that part of her own town, in Vermont's Northeast Kingdom, had vanished underwater. Mother of two grown sons, she has always told stories, especially to teens, and the story of 15-year-old Molly Ballou became the one that mattered the most (see www.BethKanell.com). She lives in Waterford, Vermont, with her husband and many apple trees.